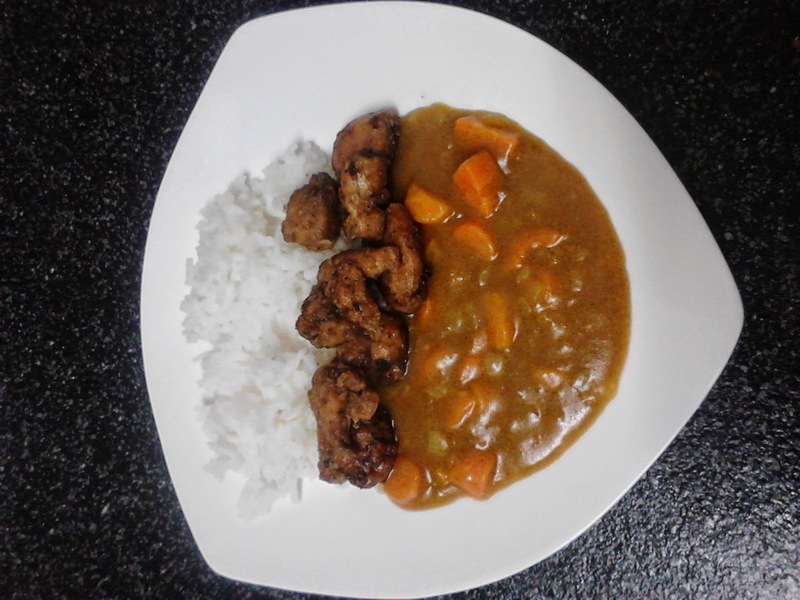 My family and I love Japanese food, with our favorite dish being chicken curry karage. At least once a month we used to go out for dinner at a local food hall. There are all kinds of Asian food available there, and one of the stalls make the most amazing karage I have ever tasted. Unfortunately, when we had to take stock and evaluate the finances there was no room in the budget for eating out. The karage is $8 a plate, so with 5 of us and a couple of drinks to share it would always cost around $50. I told a friend of mine how much we love the Spencer Village food hall curry karage. She is a fabulous cook and her specialty is Asian inspired flavors. 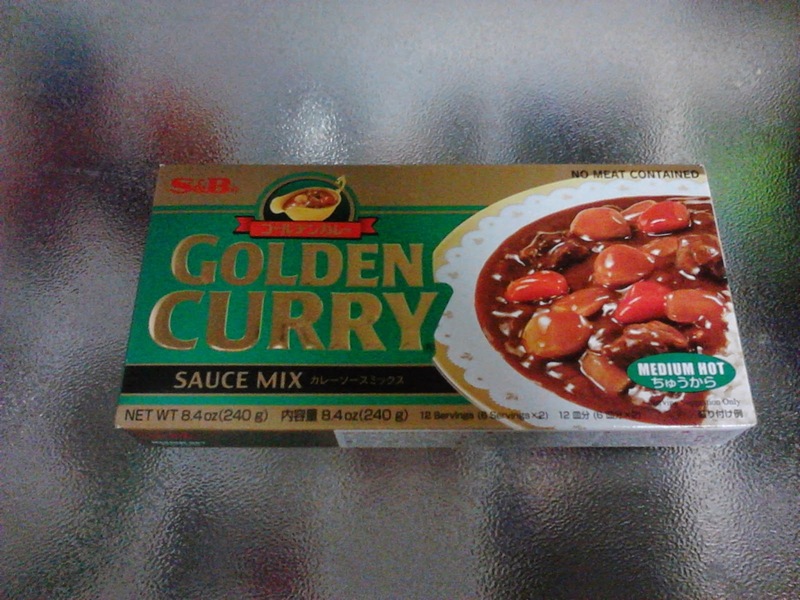 She mentioned that the curry they use is a brand called Golden Curry and you can buy it in supermarkets. Since then I have been making my own chicken curry karage. It is pretty easy to to make and costs under $10 for my family of 5! 1. First dice the chicken into small pieces. Try to keep them uniform sizes so they will cook evenly. I like using chicken thighs as I find them to be more tender, but you can use chicken breast if you prefer. 2. 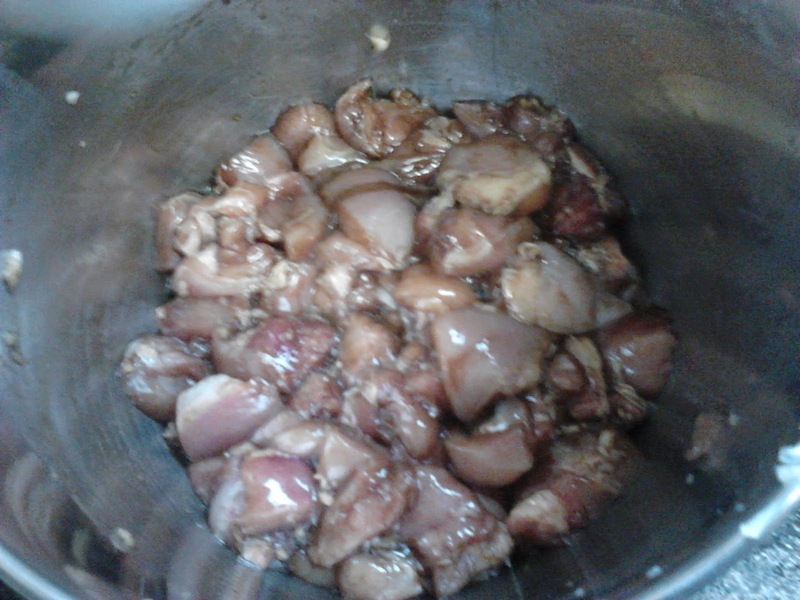 Place the chicken in a bowl with the garlic and soy sauce. Cover and place in the fridge for at least an hour to let the flavors mingle. 3. This is where I add my rice to my rice cooker. Now, I'm not a fan of unnecessary kitchen gadgets but, every time I used to cook rice on the stove it would go gluey. My rice cooker cost about $10 from Kmart and now I would never be without it! 4.While waiting for the chicken you can make a start on the curry. Dice the onions and carrots, and over a medium heat saute in a pan with a splash of oil. Stir regularly to avoid it sticking to the bottom of the pan. Once the onion begins to turn transparent, break up 4 of the Golden Curry blocks and add 3 cups of water. I buy the large 240 g pack from my Asian grocery store as it is a few dollars cheaper than at a regular supermarket. Also when buying the larger pack I have enough to make 2 meals! 5. Turn the curry down to a low heat and continue to stir occasionally until the sauce thickens and the vegetables are cooked through. 6. In a large bowl combine the flours. Remove the chicken from the fridge and in small batches coat it in the flour. Once all the chicken is evenly coated transfer it to a plate ready for cooking. 7. On a high heat place your frying pan and a layer of the oil. Let the pan heat up. 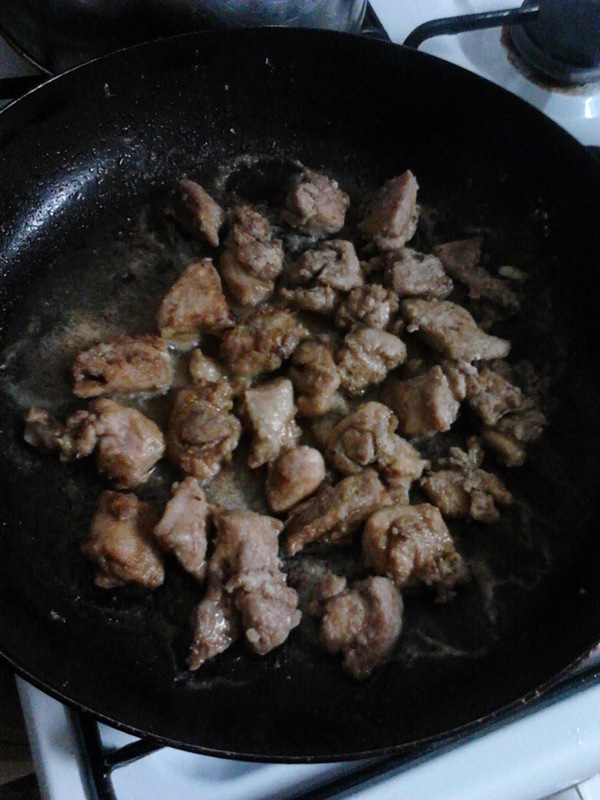 Then add a few pieces of the chicken at a time, don't overcrowd the pan. You may need to turn the heat down a bit if it is cooking too fast. Using tongs turn each piece of chicken to make sure it cooks evenly. If you are not sure cut a piece of chicken in half, if it is pink then it needs a bit longer. 8. Place the cooked chicken on a plate lined with paper towel to drain off any excess oil. Repeat the above step with the remaining chicken until it is all cooked. Now you are ready to serve. I like to plate mine up as the restaurants do, with the rice on one side, curry on the other and the chicken down the center. This makes me really happy, a delicious meal for a fraction of the cost of eating out! Help, Im Addicted To Free Samples!